1.1. These terms are applicable to all Contracts of any kind made by …………………………………….. (“the Client”) and London Letting and Management Limited trading as Marlin Apartments (“Marlin”) and apply to all reservations, bookings and agreements for accommodation. Confirmation of a booking by the Client is deemed acceptance of these terms on behalf of the Client and its guests. 2.1. 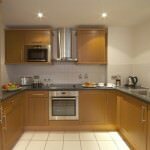 The Client agrees to pay all rental costs and other charges relating to the apartment and is liable for payment of any incidentals for the period listed on the booking confirmation form which accompanies each booking as well as all and any damage to the apartment or the fixtures fittings and chattels beyond normal wear and tear. 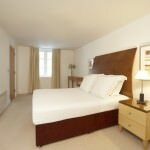 The Client will pay all rental costs and charges in sterling (£GBP) to Marlin. 2.2. VAT will be charged on the rental costs and other charges at the rate in force at the time of the booking as advised by HMRC. 2.4. Bookings held without payment are classed as unconfirmed and may be cancelled at any time. 2.5. All payments by credit card will incur a surcharge of 3.5% of the rental costs and other charges excluding Amex which shall incur a surcharge of 4.5%. 2.6. Pre-Approved Clients only – Payment for pre-approved clients is due 30 days after move in date. Late or nonpayment will be subject to a late payment interest charge of 5% above HSBC’s base rate from the date payment is due until payment has been received in full as cleared funds. 2.7. Clients wishing to pay by BAC’s must do so immediately upon receiving the pro-forma invoice; and provide a credit or debit card to hold against payment. 3.1. All cancelled or amended bookings must be given in writing and will not be valid until it has been received by Marlin. 3.2. Cancellation of any converted booking (excluding group reservations) is as followed: 72 hours for less than 27 nights, 7 days for 28-90 nights, 14 days for more than 91 nights; & 28 days for more than 180 nights. 3.4. Any cancelled or amended bookings that were processed by credit card will not be refunded the credit card surcharge. 3.5. If a cancelled or amended booking was booked under a promotional rate or code no refunds will be given. 3.6. The Client must provide at least 7 days written notice to apply for an extension to the reserved move-out date. Marlin will endeavour to grant any requests for such extension, however, this will be strictly subject to availability and cannot be guaranteed. An alternative apartment may be offered if the apartment that was initially booked is unavailable for all or any part of the extension period. 3.7. These terms and conditions apply to any extension of the booking as they do to the original booking. 3.8. Whilst all reasonable efforts have been taken by Marlin to ensure that bookings made are able to proceed, Marlin reserves the right to relocate any booking to another apartment of similar size and standard in the locality. The Client has the right to cancel such booking in these circumstances but the Client acknowledges that Marlin will not accept any liability for any loss or damage suffered by or caused to the Client or its guests in consequence of (i) the relocation of the Client or its guests or (ii) the Clients subsequent cancellation in accordance with this clause. 4.1. Check in is from 3 pm. 4.2. Upon arrival Marlin will request a copy of Photo Identification and/or the credit card used to make the booking. This is carried out as part of our normal security check, in the interests of all parties to protect Marlin, the Client and its guests against fraud. 4.3. Upon arrival Marlin may require a pre-authorisation of your chip & PIN credit or debit card at check-in (cash will not be accepted). No money is transferred at that time and the pre-authorisation is used to cover incidental items including (but not limited to): breaches of these terms and conditions; breakages; damage to the apartment; excessive cleaning above the normal level of cleaning due to the apartment being left in an unacceptable state of cleanliness. (Please note that the pre-authorisation may affect available funds balance or spending limit on the credit or debit card used at the time of check-in for a period of 5 days (please note this is an indicative timescale only). Once a pre-authorisation has been made, Marlin cannot release, remove or lower the authorised amount until Marlin process the final account after departure. 4.4. Marlin reserves the right to refuse a guest entry and accommodation if, on arrival, Marlin’s management considers that the guest is under the influence of drink or drugs, is unsuitably dressed or is behaving in a threatening, abusive or otherwise unacceptable manner. 4.5. Failure to check-in by 9am on the day after your booked arrival date, without prior notification that you intend to arrive at a later date, may result in your reservation being cancelled. 4.6. On departure, guests must vacate their apartment and check-out by no later than 10.30 a.m. Failure to do so will entitle Marlin to charge £50 for check-outs after 10:30 a.m. but before 2pm and a full night’s stay for check-outs 2 p.m or later on the agreed date of departure. 4.7. A minimum fee of £100 plus VAT will be charged for keys not returned within 24 hours of the date of departure. Should any keys be lost or stolen the Client will be liable for the full cost of an emergency locksmith plus any replacement fobs required for operating entrance doors/car park gates, etc. 4.8. Marlin reserves the right to remove a guest’s belongings from the apartment if the guest has failed to check out by 3pm on the agreed date of departure and Marlin accepts no liability for any loss whatsoever of or damage to these items. 5.1. 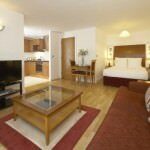 The guest acknowledges receipt of and agrees to abide by the apartment rules and procedures in force from time to time including but not limited to health and safety and security procedures and statutory requirements. 5.2. 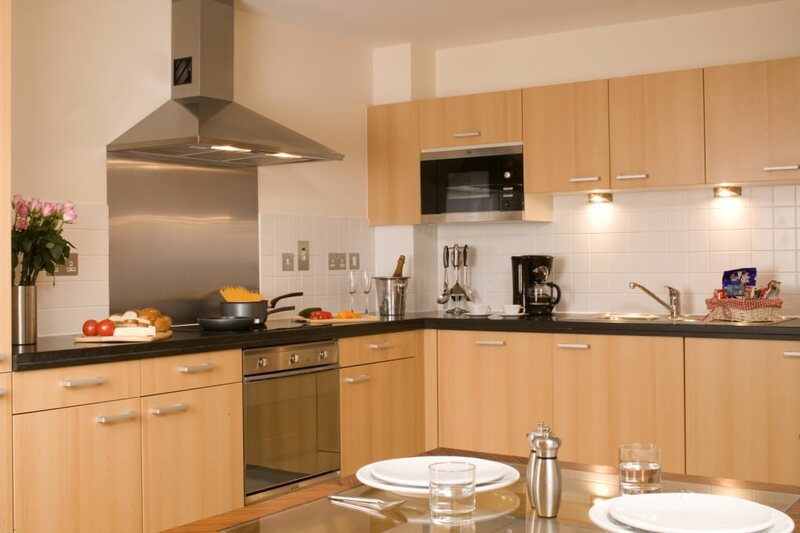 Guests are responsible for their own belongings whilst at the apartment. 5.3. No animals of any kind are permitted in the apartment except guide dogs. 5.4. All Marlin apartments are non-smoking apartments and a charge of one night’s stay will be levied for any breach of this clause. 5.5. Children under the age of 14 must be supervised by an adult guest at all times. 5.6. The Client accepts full responsibility for any damage occasioned to the apartment or its contents beyond normal wear and tear. Guests must forthwith notify Marlin of all damage, loss or broken items or matters requiring maintenance. 5.7. The maximum room occupancy for each apartment type is as follows: Studio = 2 persons, 1 Bed = 4 persons and 2 Bed = 6 persons. Notwithstanding the maximum occupancy for each apartment, if the occupancy exceeds 2 persons in a 1 Bed or 4 persons in a 2 Bed then the Client must purchase from Marlin additional beds. 5.8. Marlin has a strict no-party policy. 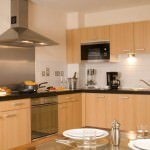 The maximum number of people per apartment should not be exceeded and noise levels must not cause a disturbance to Marlin’s staff or other guests. Additional charges will be levied if there is evidence of a party having occurred. 5.9. Marlin reserves the right to require a guest to leave if he/she is causing a disturbance, nuisance or annoyance to other guests or Marlin’s staff or is behaving in an unacceptable manner. Where this occurs no refund will be given. 6.1. Marlin will not be held responsible for any loss or damage to Client’s or guests’ computer hardware or software or any information stored in the computer whilst connected to the broadband connection at the apartment. 6.2. No Client or guest must use the broadband connection at the apartment for any illegal or immoral purposes. 7.1. Neither the Client nor guests have exclusive access to the apartment and Marlin, and those authorised by Marlin, have the right of access to the apartment at all reasonable times (but at all times in cases of emergency) without notice being given to the Client or guests. 7.2. The apartment is only to be used as temporary or holiday accommodation only and does not create a tenancy of the apartment periodic or otherwise and no relationship of Landlord and Tenant is created between Marlin and the Client and their guests. 7.3. These terms and conditions constitute an excluded agreement under section 3A(7)(a) of the Protection from Eviction Act 1977 (as amended). They cannot be construed as an assured tenancy under the Housing Act 1988 as amended. 8.1. 37. Marlin accepts no responsibility for loss or damage to guests’ property. Marlin encourages all guests to carry travel insurance in the unlikely event of such incidents. Marlin suggests that the policy include, but not limited to, the following coverage – loss of payment through cancellation, loss or damage to personal baggage, loss of money and medical expenses. 8.2. 38. Marlin shall not be liable to the Client, whether in contract, tort (including negligence), breach of statutory duty, or otherwise, for any loss of profit, or any indirect or consequential loss arising under or in connection with these terms and conditions other than death or personal injury caused by its negligence, or the negligence of its employees. 9.1. 39. Marlin shall not be liable to the Client as a result of any delay or failure to perform its obligations under these terms and conditions as a result of a Force Majeure Event. For the purposes of these terms and conditions, a Force Majeure Event means an event beyond the reasonable control of Marlin including but not limited to strikes, lock-outs or other industrial disputes (whether involving the workforce of Marlin or any other party), failure of a utility service or transport network, act of God, war, riot, civil commotion, malicious damage, compliance with any law or governmental order, rule, regulation or direction, accident, breakdown of plant or machinery, fire, flood, storm or default of suppliers or subcontractors. 9.2. 40. Notice in writing means by fax, post or email to the fax number, address or email address listed below. 9.3. 41. If a court or any other competent authority finds that any provision of these terms and conditions (or part of any provision) is invalid, illegal or unenforceable, that provision or part-provision shall, to the extent required, be deemed deleted, and the validity and enforceability of the other provisions of these terms and conditions shall not be affected. 9.4. 42. If any invalid, unenforceable or illegal provision of these terms and conditions would be valid, enforceable and legal if some part of it were deleted, the provision shall apply with the minimum modification necessary to make it legal, valid and enforceable. 9.5. 43. Variation: Except as set out in these terms and conditions, any variation, including the introduction of any additional terms and conditions shall only be binding when agreed in writing and signed by Marlin. 9.6. 44. These terms and conditions, and any dispute or claim arising out of or in connection with them or their subject matter or formation (including non-contractual disputes or claims), shall be governed by, and construed in accordance with, English law, and the parties irrevocably submit to the exclusive jurisdiction of the courts of England and Wales. 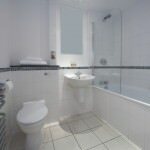 © London Letting and Management Limited All Rights Reserved 2011. 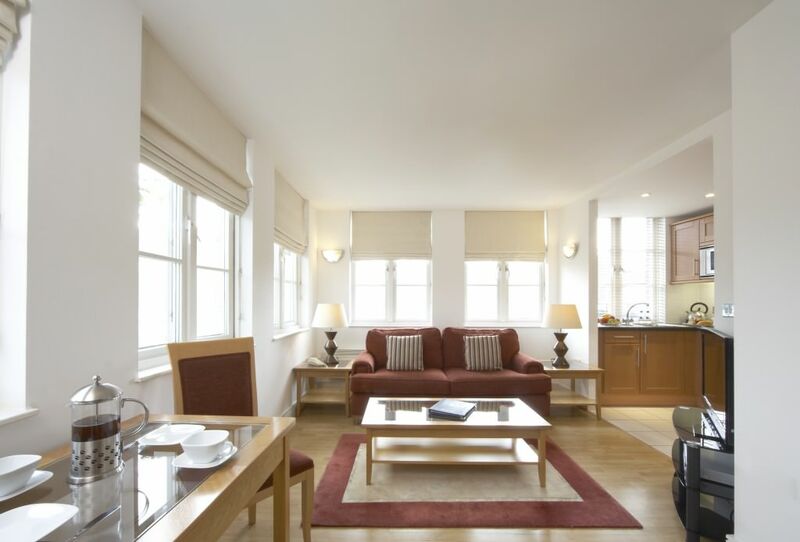 Located in the heart of London, Marlin Queen Street serviced apartments are located in the financial district of the City and just moments from St Paul’s Cathedral. 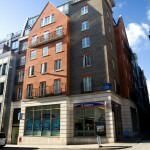 Offering the perfect combination of business hotspots and super tourist attractions, whether guests are looking for a holiday let or corporate accommodation, the aparthotel is ideal. 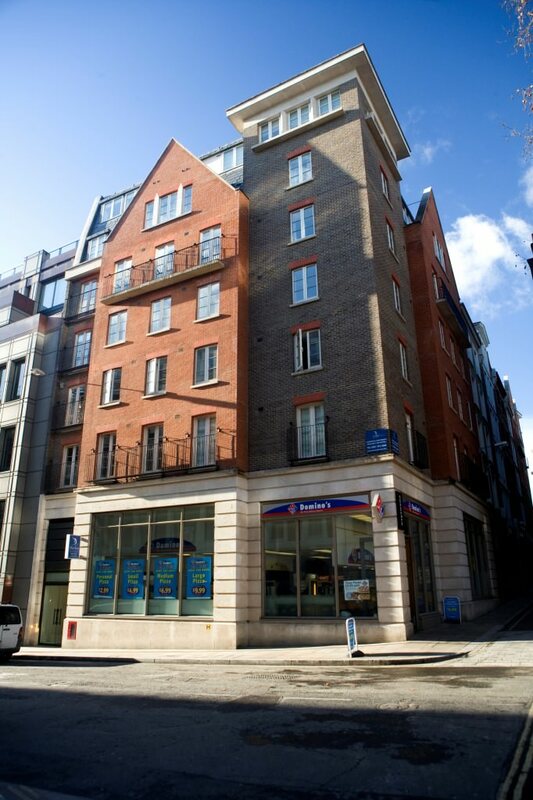 Situated just around the corner from Cannon Street mainline and underground station (a 2 minute walk), the tube line is served by District and Circle lines. Bank / Monument can be reached in 5 minutes and is served by Central, Northern, Circle, District, Waterloo & City Lines, as well as the DLR. 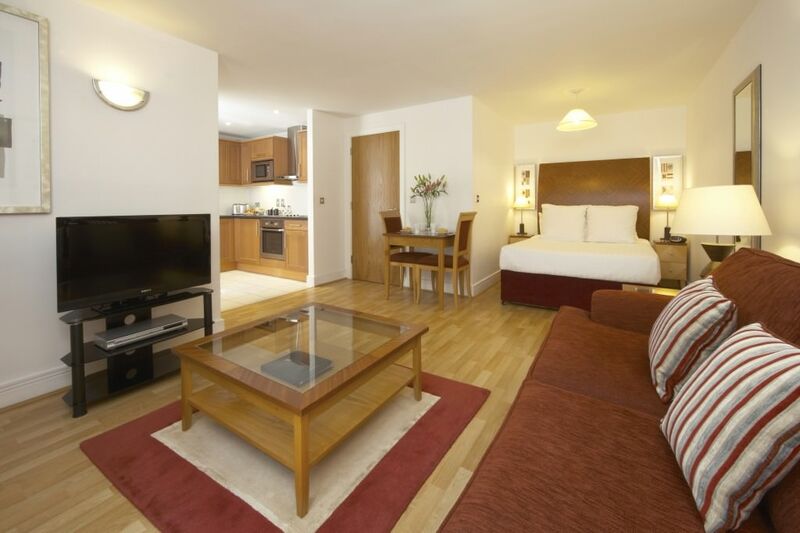 Marlin Queen Street offers travellers a choice of exceptionally furnished studio, one bedroom and two bedroom serviced apartments, all of which are spacious, comfortable and stylish. 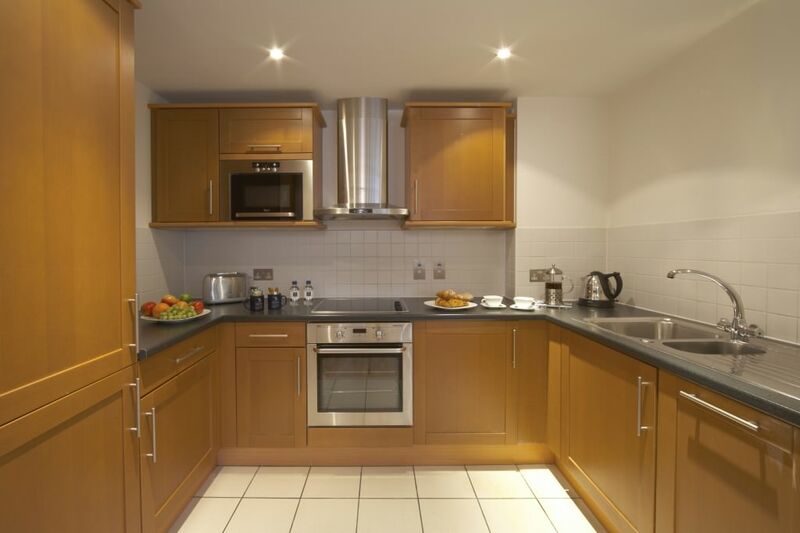 Fully fitted kitchens feature all of the appliances a discerning traveller could possibly require, from oven, hob and microwave to dishwasher, coffee machine and utensils. 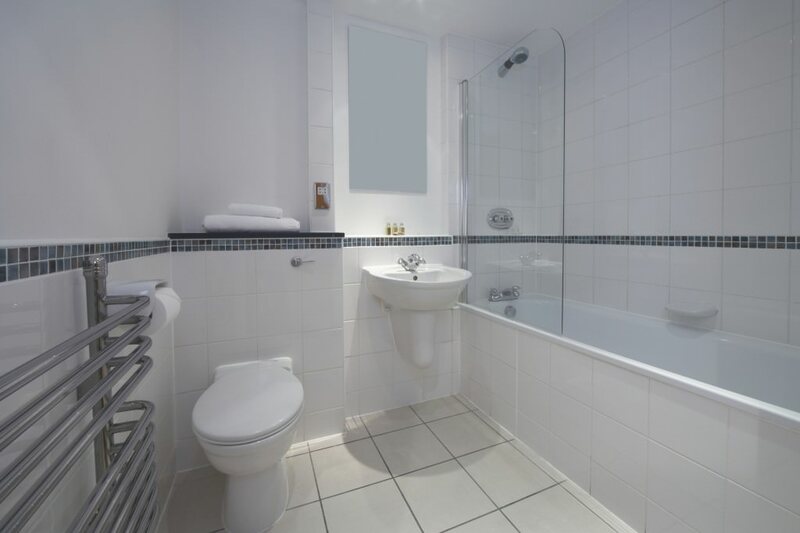 The smart contemporary bathrooms are complete with L’Occitane toiletries and a set of towels per guest. A stay at a Marlin serviced property always guarantees a short or long term stay of a superior standard. As well as the included amenities, free WiFi, 24 hour concierge, weekly housekeeping and more, there are a number of great optional extras available. 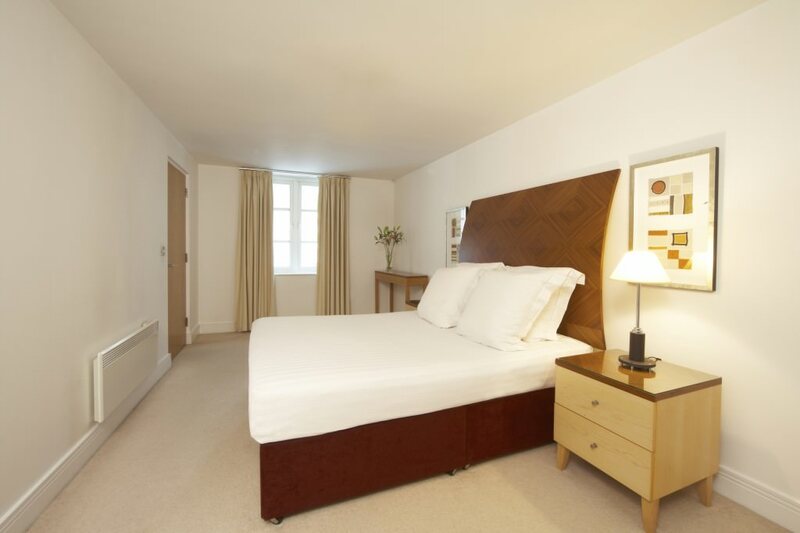 For a more cost effective stay, double sofa beds can be set up in the apartment’s living areas. Car parking is also available at the nearby Marlin Empire Square property, just moments away.